Android Pie 9.0 is now officially the latest version of Android, and the update has been rolling around in the world from the past few months in the form of Beta updates. The Android Pie update comes with a major overhaul of the Android Oreo 8.1. 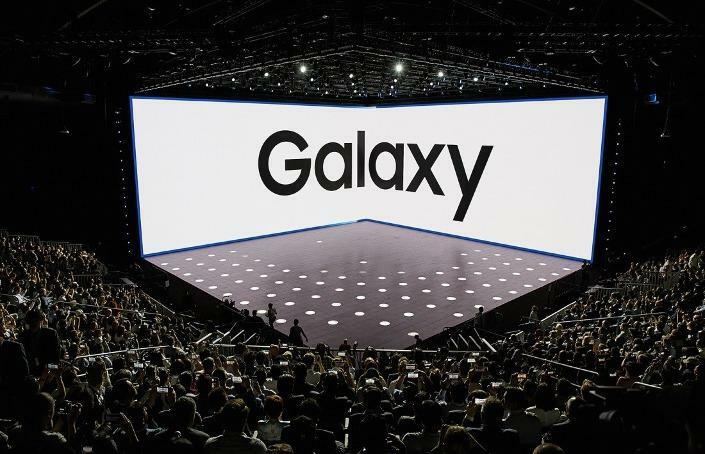 Samsung has been quite busy recently with the launch of various devices such as the Galaxy Note 9 Flagship and the Galaxy A8 Star. WIth the Android Pie now out, it must be making Samsung users wonder whether their Galaxy smartphone will get the Android Pie update or not. Samsung delivered Regular security patches provided for the Note, S, A, and C series as well and was at its ace game when it came for monthly patches. Hence, with that track record, so will get something similar and for big OS updates, if Project Treble is implemented, we can see Samsung delivering updates at a much quicker pace. However, do mark that devices launched before 2017 and 2016 have sporadic chances of making it to the Android Pie servings. Samsung’s latest S series flagship devices Galaxy S9 and S9 Plus will be one of the first Samsung devices to get the newest Android Pie update. 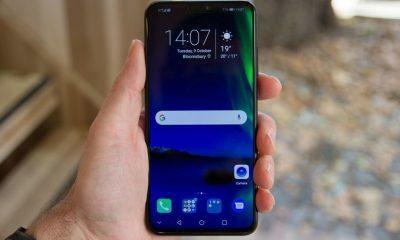 There was a leak of the Android Pie based Samsung One UI for the Galaxy S9 Plus which showcase everything that will be coming to the device with the latest update. Update: Samsung has started seeding One UI beta based on Android 9 Pie update for the Galaxy S9 users in South Korea and the USA. Others are the U.S. and Germany, which should join the party after some days. Samsung’s last year flagships Galaxy S8 and S8 Plus were a huge hit and are confirmed to get the Android 9 Pie update. The devices won’t be getting the update alongside the Galaxy S9 and S9 Plus but will be getting all the goodies of the Android Pie in April 2019. Here’s the in-depth article on Galaxy S8 Pie update release date and FAQ. The Galaxy S8 Active will be getting the update around the same time. Update: Samsung has started seeding One UI beta based on Android 9 Pie update for the Galaxy Note 9 users. Samsung Galaxy Note 9 is the latest Samsung flagship smartphone, and it will be one of the first Samsung devices to get the Android 9 update officially. Samsung’s history and recent leaks suggest that the Galaxy S9 and S9 Plus will get the Android Pie update before the Note 9, but the phablet device will surely get the update around Feb 2019. Samsung’s Galaxy Note 8 smartphone is confirmed to get the Android Pie update. However, there are speculations that the update for the device might be a little delayed. The device is expected the get the Android 9.0 update in Q2 2019. Samsung Galaxy A8 and Galaxy A8 Plus 2018 models release in January this year have been quite successful regarding sales. The devices were first Samsung phones to offer bezel-less display after the flagship Galaxy S and Note series. 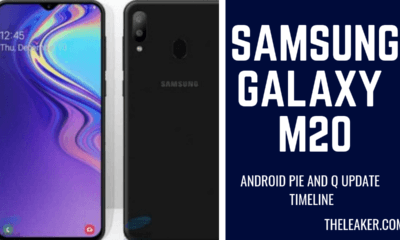 Galaxy A8 and Galaxy A8 Plus are expected to get the Android Pie update in Q2 2019. Samsung’s first triple camera smartphone Galaxy A7 2018 was launched recently, and the device comes with Android Oreo 8.0 out of the box. Samsung has officially confirmed the Android Pie update for the Galaxy A7 2018 and the update will be rolled out in early Q2 2019. Samsung’s Galaxy A series smartphones offer pretty good specs along with a premium design and are very a strong contender in the mid-range smartphone market. Both the Galaxy A6 and Galaxy A6 Plus are confirmed to get the Android Pie update in Q3 2019 along with other Galaxy A series smartphones. History says Stick with the Pro variants that are at least promised one major update. And till the time the next version comes up, you’ll be on Android Pie, for sure. Samsung Galaxy On6 smartphone launched in July this year will be getting the Android Pie Update in Q3 2019 (Not confirmed). Samsung Galaxy J7 2018 has been confirmed for the official Android Pie update. The device has been one of the most selling smartphones for Samsung in the budget category. The Galaxy J7 2018 is expected to get the update in Q3 2019. Galaxy J7 Pro 2018 may not have tasted the same success as of Galaxy J7 2018, but it is nonetheless confirmed to get the Android 9 Pie update in Q3 2019. The dual camera phablet phone Galaxy J8 2018 offers pretty well real estate for the price. The device has been confirmed to get the Android Pie update. Android 9 Pie update for Galaxy J8 2018 will be rolled out in Q3 2019. Galaxy J3 2018 is the cheapest smartphone in this list but is confirmed to get the Android Pie update. 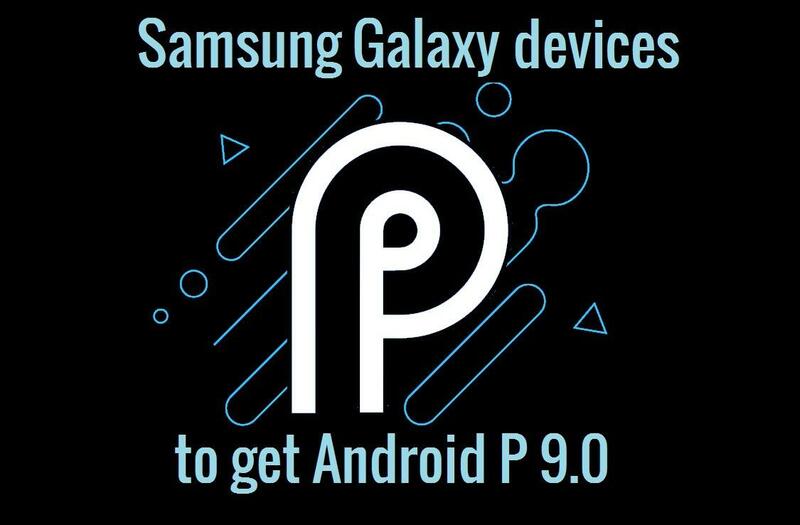 The device is launched in June 2018 with Android 8.0 out of the box and will be getting the Android 9 Pie update in late Q3 2019. Samsung flagship devices are eligible for two major Android updates, and sadly the Galaxy S7 Edge has completed its two update cycle. The device won’t be getting the official Android Pie update. However, the device has a pretty awesome developer community behind it so expect some fantastic Android Pie based ROMs on being out soon. Just like the Galaxy S7 Edge, the Galaxy S7 has completed its two-year update cycle and will be missing out on the official Android Pie update. Moreover, talking about the lower tier Samsung devices they have very slim chances of ever seeing Android Pie, as none of the last years has seen an update. And some leaks of the Galaxy J series suggests devices running on Android Nougat. Even if launched with Oreo, Samsung is not known for updating its entry-level and budget devices. Other than that, do not expect the Android Pie update anytime soon, unless by the end of 2018 and early 2019. There are not even 10% of devices running on Android Oreo 8.0, let alone 8.1. Also, the Galaxy S6 and Galaxy S6 Edge will not get Pie update. However, all the new Samsung’s upper-midrange devices launching in 2018 will ship with Android Oreo 8.0 with Samsung experience 9.0 out of the box. So, no products might come with Android Pie, unless it has the Pixel name in it. Dark mode is one of the things that OLED display smartphone owners have been asking for for a long time and looks like Google is at last listening. And we might see a fully built-in Dark-Mode shipping with Android Pie. As we all know the use of White in Android’s UI started heavily with the Android Lolipop days and since then has been a big headache for OLED screen smartphone users. With dark mode, most of the UI of Android Pie is black thus saving battery on smartphones sporting an OLED display. Efficiency is what here we’re looking. As most smartphones coming in 2018 will have a notch display, such as the Moto X5, Huawei P20, Asus Zenfone 5 2018 series and more(OnePlus 6) to come. Google has finally decided to add a notch support feature which will take care of that display area where the notch protrudes out in the screen. So, no more, rectangles while watching your videos in full-screen. The developer preview itself supports the ability to emulate a fake notch whether it a small thin one or a large one like the iPhone X, it is there to serve your cravings for the new notch trend. This new feature in the developer preview allows the users to see a preview of the previously sent message from the conversation – and will enable users to send a reply direct from the notification itself. Increased performance for ART(Android runtime) and apps written in Android’s new coding language Kotlin. With the help of machine learning, Google has perfected the Auto-fill from what we have seen on Android Oreo. Thus making it easier and efficient for password managers to enter your correct credentials at the right place. Google has also implemented limited permissions for apps that are idle and in the background to not to use them. These include restricted access to the Camera, the Mic of your device as well as other important sensors that might be getting used for suspicious activities like spying and similar, so maybe sad news for CIA and NSA. 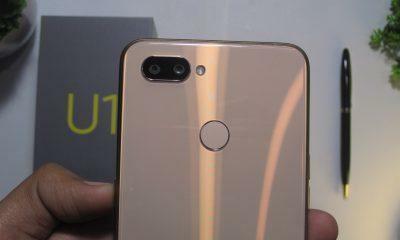 dual-cameras and now even triple camera’s will be the new trend, and Google has ensured with Android P that apps have granular access to them with its new Multi-camera API. With Android P, the power-off menu gains the ability to take a screen-shot, so now no more weird button combo fails. Along with this we also get a more colorful settings panel now, which similar to an OEM Skin, gone are the black and white vector icons. Instead, we have more colorful icons conveying the meaning of that particular setting. The Future is HDR videos, and Android P takes care of that by including HDR VP9 Video(Profile 2) formats, as well as various other video codec formats, are now supported out of the box. HEIF image compression brings efficiency as less download size as well as less data on your storage is the whole point here. With the rise of AI assistants and AI-based products, Android P comes with baked Neural network API’s. This will help in expanding on device machine learning with a whole host of new elements. You can read about the entire Android P’s new list of features in detail by visiting this link here. And with Samsung adding over its skin on top of Android Pie 9.0, once shall not expect the update to arrive anytime before October 2018 or by the end of 2018. Furthermore, this time frame will even be expanding too early 2019 for budget and upper mid-range devices. I have a Samsung Galaxy A7 2017 model A720F. Why won’t Samsung allow my phone to receive the Android Pie update??? In above release you have covered C9Pro and C10Pro in list of eligible devices for Pie update, however, in same release you have again confirmed that C9Pro will not get Pie update.. What is true..?? It’s kinda Maybe, to be honest, we are not sure about the C series smartphones. Samsung is unpredictable but it seems like the device may not get the update.